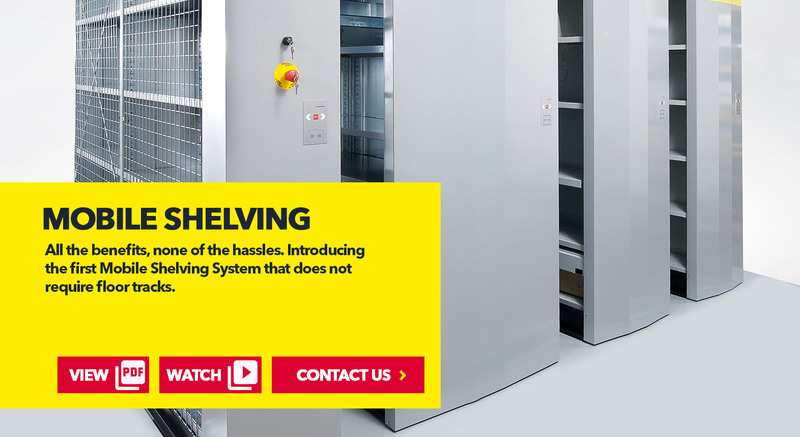 What is Mobile Shelving System? 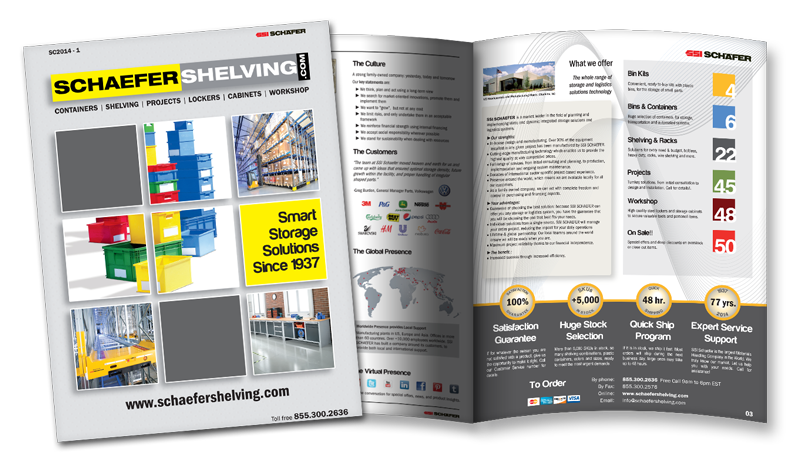 Mobile Shelving is a conventional shelving system mounted on carriages which moves to maximize the storage capacity. Aisles can be accessed via manual or remote RFID control. 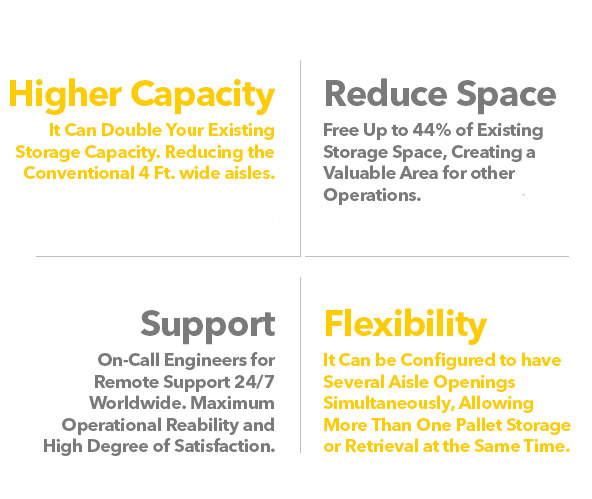 The reduction in the number of aisles achieved by this system provides a high degree of both operational and cost benefits. The carriages are moved manually with the aid of a crank and a gear ratio adjusted to the loads carried. Drive is provided directly by the castors on the floor. They are guided at the rear by a small dowel-shaped profile. 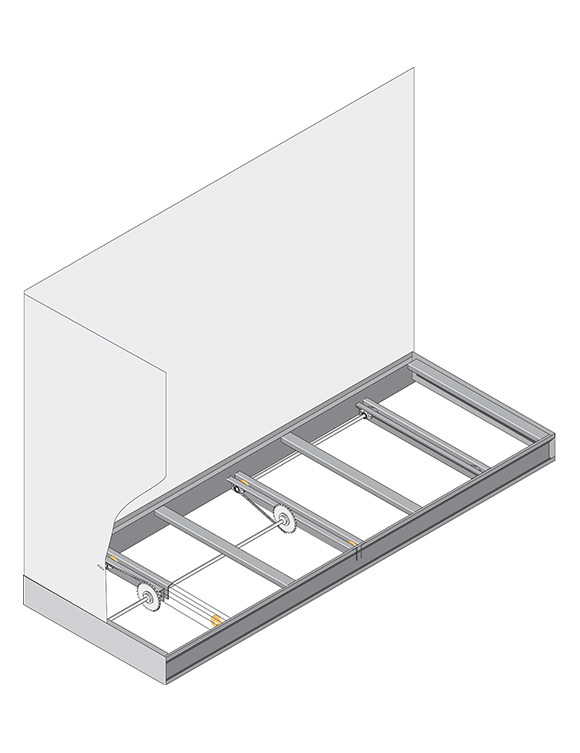 This system requires no ramps or infill floor, saves on assembly time, is cost-effective, and can be easily relocated when moved. 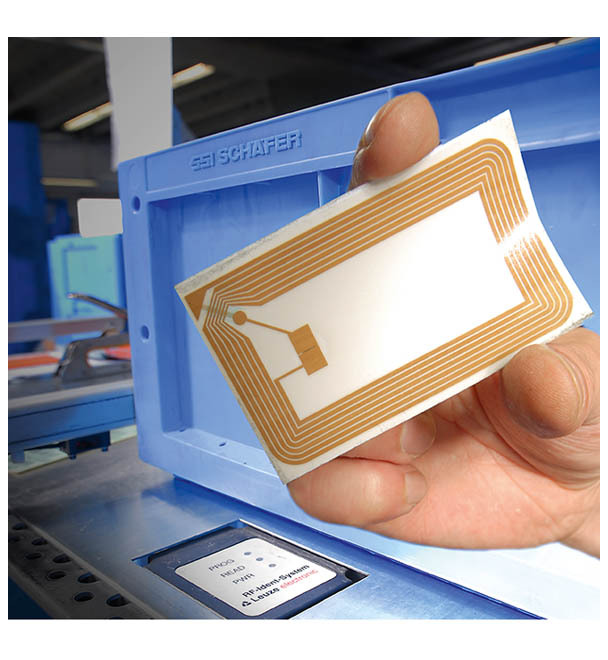 In addition to the standard crank drive and electric drive options, SSI SCHAEFER also offers an RFID based solution, where the system is released at the scan of a badge. This solution includes safety light barriers and emergency stops. It also prevents unauthorized operation of the system. Twelve-wheel travelling mechanism. Advantage for supporting structure planning. Loads affecting the floor are reduced due to the number of wheels. Load Capacity. Up to 26,400 lbs. (1,340 lbs. per foot of carriage length). Galvanized or painted beam finish. Crank drive. The bases are moved manually with the aid of a crank and a gear ratio adjusted to the loads carried. Electric drive. The mobile shelving system the base is moved by a single motor drive which utilizes a gearwheel on a chain set into a floor-mounted rail. This model is primarily used with high compartment loads. 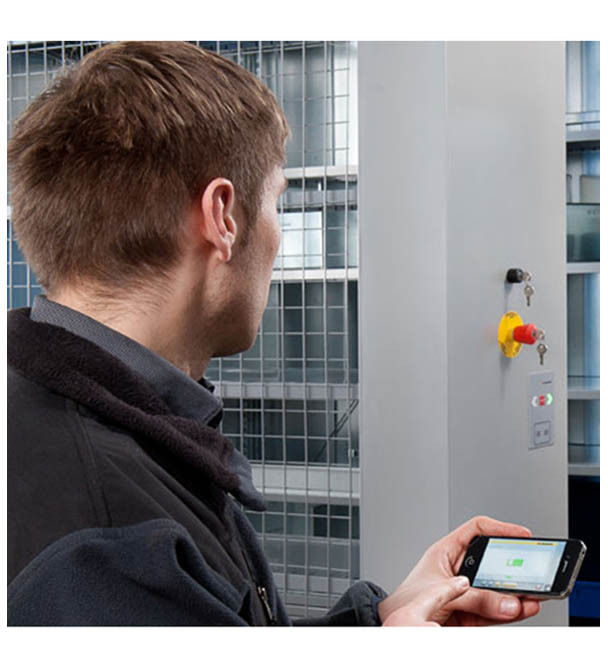 Safety devices guarantee hazard-free operations in line with relevant guidelines and regulations relating to workplace safety. RFID drive. The system is released at the scan of a badge. This solution includes safety light barriers and emergency stops. It also prevents unauthorized operation of the system.